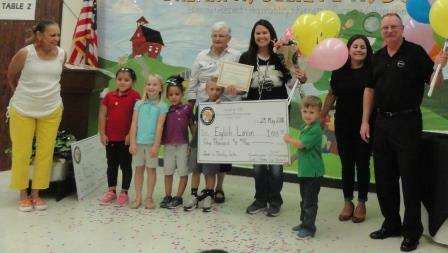 AES Pre-K teacher English Lancon was awarded $1,000 to purchase iPads to set up a technology center. 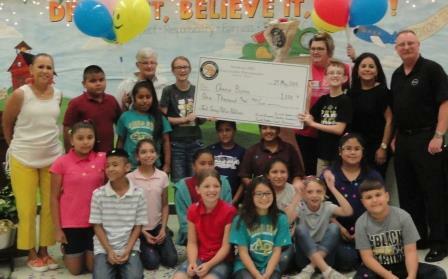 AES fourth grade Math teacher Cherie Burns was awarded $1,000 to purchase electronic tablets for her classroom. 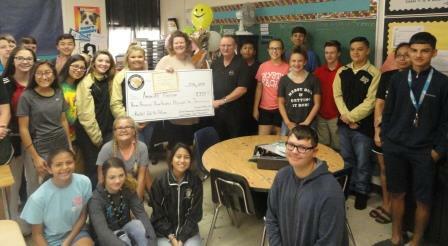 AMS eighth grade Science/Technology teacher Amanda Pierson was awarded a $3,348 grant - given in the name of contributor Randy, Celine & Stephanie Nelson. 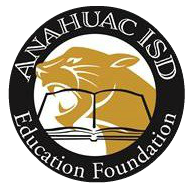 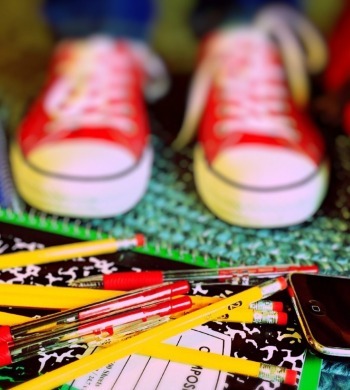 The funds will purchase electronic notebooks, Frixion pens, Fire tablets and earbuds for note-taking and data management. 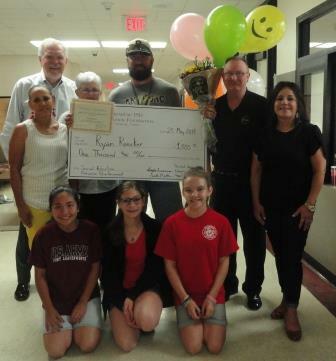 AMS Special Education teacher Ryan Roecker was awarded $1,000 for creation of a behavioral motivation program. 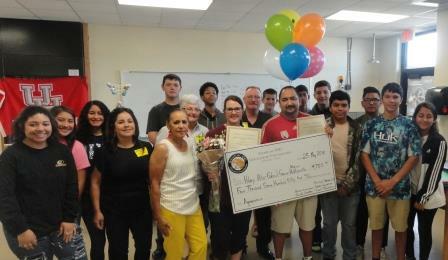 AHS teachers Hilary Otto, Mary Huffsmith and Gabriel Garcia received a $4,750 grant - given in the name of Targa - for an aquaponics program. 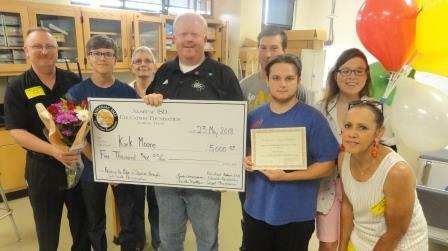 AHS "Rocket Man" Kirk Moore was awarded a $5,000 grant to help continue the AHS rocket research design program.